As with any change, misconceptions and misunderstandings are inevitable. 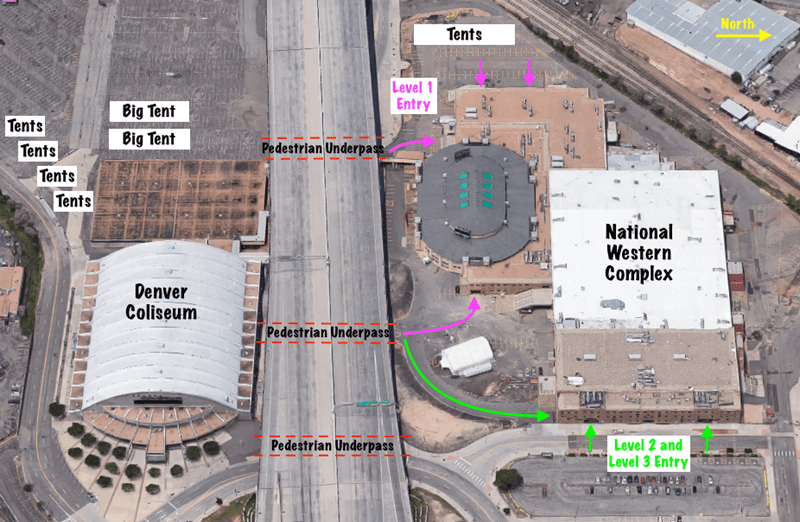 Here we address the rumors about the huge new Denver Coliseum Show and give it to you straight! MYTH #2: The Coliseum Show bought the Village Originals' show at the National Western Center (NWC), or vice versa. FACT: Neither version is true. Rather, the owners of each show have entered into a cooperative partnership that will result in greater foot traffic for all of our vendors. Village Originals will continue to occupy Level 2 of the NWC and run their show as always. The Coliseum Show will now expand into Level 1 and Level 3 of the NWC, adding 130,000 sf of additional exhibition space. During show time, the two buildings will be linked via three well-marked pedestrian corridors. The NWC will be called “Coliseum North” because it is on the north side of I-70, and the historic Coliseum will be called “Coliseum South”. But the two independent shows together will be called the Coliseum Show for advertising purposes. FACT: Partly true. The viaduct (the elevated portion of I-70 on a bridge) will be lowered below grade level and covered with a park, but not at the Coliseum. Rather, the work begins to our east, beyond Brighton Blvd and will extend towards the airport. Interestingly, the viaduct is the second largest bridge in Colorado and the last of the 33 worst bridges in the state yet to be addressed. FACT: Not true. The Interstate 70 corridor is Colorado’s only east-west Interstate connection serving as an essential backbone of state and regional commerce. Therefore, construction will be done in discrete, well-planned phases to keep the traffic moving. MYTH #5: The National Western Complex (NWC) will be torn down. FACT: True. Most of the buildings (except for those 100+ years old) in the NWC will be torn down over the next ten years, but not until each building's much bigger replacement is constructed nearby. Total exhibition space will increase by 1 million square feet, but at no time will construction impede the Coliseum Show on either side of I-10. This massive project is in partnership with Colorado State University, which will occupy one of the smaller new buildings year-round. It really is quite beautiful isn't it?